STR's upcoming Vantha Rajavathaan Varuven is set to release on February 1, 2019, and the two single tracks released already good reception among fans while the teaser of the film was a success too. The official remake of the Telugu Blockbuster Attarinki Daredi is directed by Sundar C and produced by Lyca Productions. The full album of the film is out now and the regular associate of the director, Hiphop Aadhi has once again given a mass commercial album. The songs are all a complete celebration piece and will be a good watch at theaters with Sundar C touch onscreen. The comedy masala entertainer is having a good buzz in trade circle and clashing with Peranbu and Sarvam Thaala Mayam. 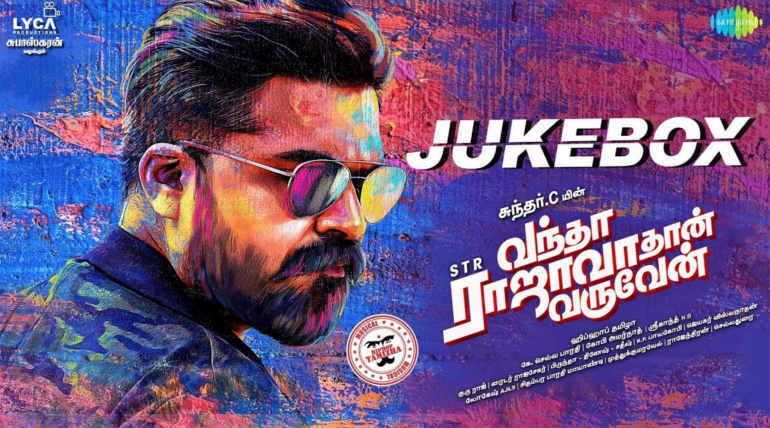 The tracklist of the album can be seen below and the complete audio Jukebox of Vantha Rajavathaan Varuven is shared below.